Christian Horner suggested Daniel Ricciardo and Max Verstappen would have been 2018's team to beat in Formula 1, if power unit output were uniform across the grid, insisting that his Red Bull team were responsible for producing the best chassis of any outfit this year. 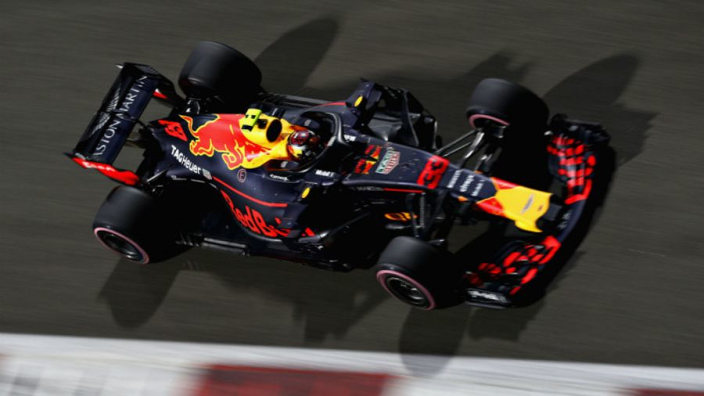 Red Bull took victories in Monaco and Mexico – typically the two races on the calendar which favours downforce over engine power. Max Verstappen pushed Lewis Hamilton hard on the tight and twisting Singapore street circuit to add further credence to Horner's claims. "I think RB14 has been a very strong car," Horner told Motorsport. "I think arguably it's been the strongest chassis of the season. "If you were to equalise the power between the top three teams I think you'd see that RBR14 has been an extremely good race car. "Look at whenever the power unit hasn't been a factor, or as predominant a factor – we won in Monaco even with an MGU-K failure, we were second in Singapore, we won in Mexico again when altitude played a key role. Those races we've been particularly strong in. "Obviously we tend to run lower downforce levels to try and create the same top speeds, and as soon as you try to trim wing to do that you introduce other compromises into the handling of the car. "But when we've able to run full spec – we should have had a front row lock-out in Monaco, and we had one in Mexico."